“I interviewed there, and they went a different direction,” said Lynn, who spent 2015 as the Bills’ running backs coach and most of 2016 as their offensive coordinator. New Bills coach Sean McDermott coincidentally made the same move earlier this week, benching Taylor in favor of Nathan Peterman . The rookie fifth-round pick will make his first NFL start against the Chargers and their phenomenal pass-rushing duo of Joey Bosa and Melvin Ingram. Two teams on two-game skids are meeting at the Chargers’ temporary home south of downtown LA. The Chargers, playing at home for just the second time in seven weeks, need a quick surge to have any hope of playoff contention, while the Bills control their own postseason destiny despite everything. 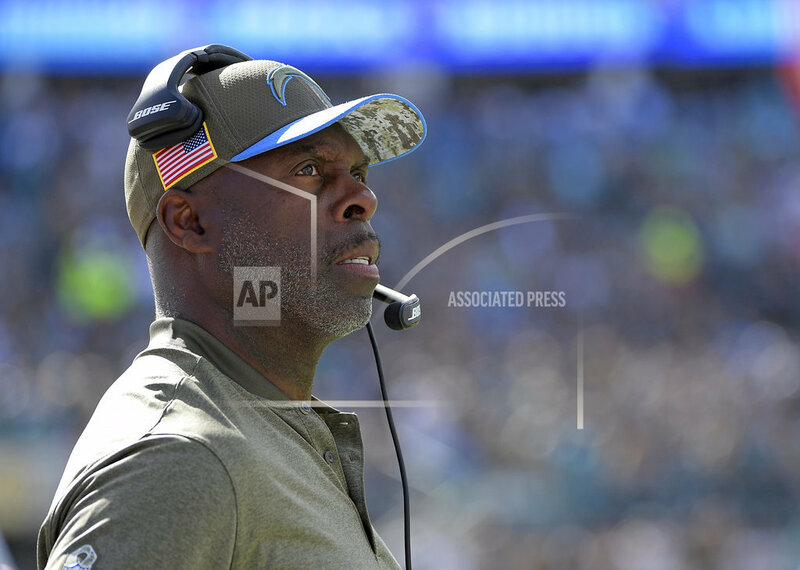 STALLED OFFENSE: While the Bills have their own concerns on offense leading to a quarterback change, the Chargers are struggling to explain several unimpressive efforts by an offense with ample talent, including Rivers and a solid group of receivers. Los Angeles is 25th in the league in points, 22nd in yards on first down, and 29th in third-down efficiency, only reaching the red zone 20 times all season. Lynn and offensive coordinator Ken Whisenhunt aren’t addressing the problems with personnel changes — not yet, anyway. RUN IT: The ground game might be helpful in fixing the Chargers’ woes. Buffalo’s defense has allowed 492 yards rushing over the past two games, and LA running back Melvin Gordon seems overdue for a breakout game. TRASHED: The Bills made a big offensive change, but the defense is smarting after giving up 47 points last week to New Orleans in their worst defensive game since 2012.